apne jeene pe chhappar bhi nahin, unke marne pe Taj Mahal banta hai !! Ae Shahjahan, Milegi na tujhe teri mumtaz wapas, Kabr per mahal banane se kya hota hai !! 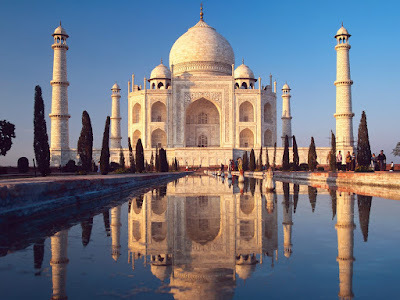 Thats a shayar's perspective but the truth is The most beautiful mausoleum on Earth "The Taj Mahal" ordered to build by "Emperor Shahjahan", in memory of his wife "Queen Mumtaz Mahal", stands proud as one of the seven wonders of the world today !! The Great Wall was originally built in the Spring, Autumn, and Warring States Periods as a defensive fortification by the three states: Yan, Zhao and Qin. 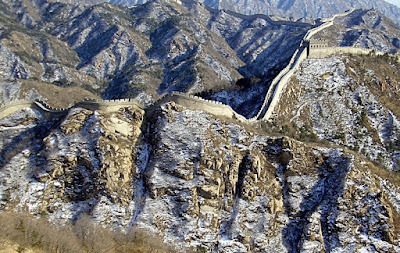 The Great Wall went through constant extensions and repairs in later dynasties. It began as independent walls for diff. states when it was first built, and later joined together to fend off the invasions from the Huns in the north after the unification of China. Since then, the Great Wall has served as a monument of the Chinese nation throughout history. 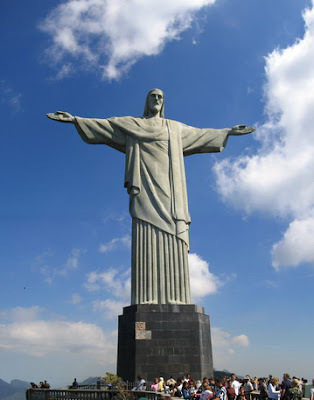 Wow, thats a real beautiful place to see. 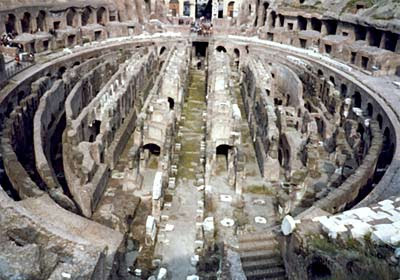 I have real good memories attached to this place in Rome, Italy. I went there with him as my first international trip and it rained. It was all so romantic. And if I trust what I have seen in movie Gladiator then I must say this place has witnessed very dreadful acts of humanity, the human fights till dead/win. The Royal Tomb, a cave-like area contains ceremonial niches and an Inca cross carved from one wall and is adjacent to the Temple of the Sun. The cross resembles a series of steps, and represents the three levels of existence in the world of the Inca. The first step, symbolized by the snake, represents the underworld or death. The second step represents the present, human life, and is symbolized by the jaguar. The highest step represents the celestial/spiritual plane of the gods, and is symbolized by the condor. 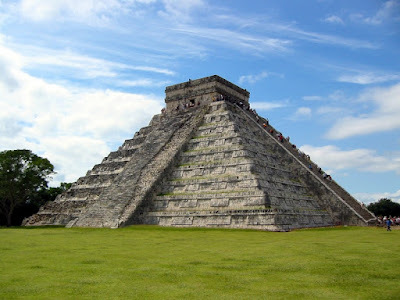 The "Chich'en Itza" is a spanish name that means "At the mouth of the well of the Itza ". The site contains many fine stone buildings in various states of preservation; the buildings were formerly used as temples, palaces, stages, markets, baths, and ballcourts. 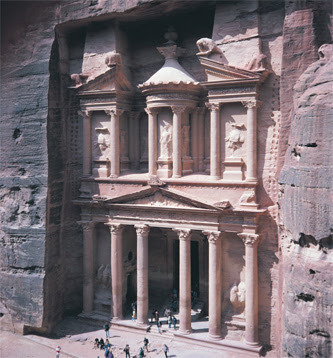 It is famous for having many stone structures carved into the rock. 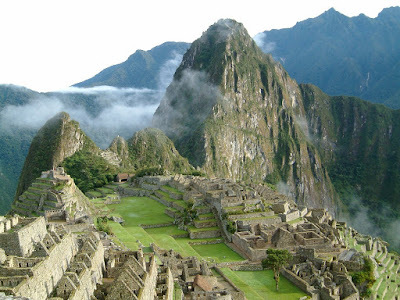 The long-hidden site was revealed to the Western world by a Swiss explorer in 1812. It was famously described as "a rose-red city half as old as time"
u ahve been very quite..any reason..
nothing specific DC, just work n travel is keeping me little busier !! Thanks for the concern..!! 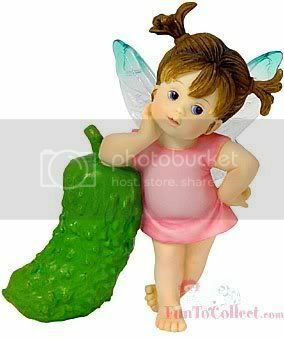 Hey Adi, nice to c u here !! Hey Lass, healed many of ur wounds..sounds different..wish you good luck dear !! Hey Phoenix, thanks for dropping in..!! N now its been 15 minutes i have been smiling reading that..I dont have words to say...what u said means to me:)...It felt so good.. Thank u so so much..i dont have enough words to pour here..to tell u what it means..
Wow, Nice Post. I love this! How've you been? I've been quite busy and haven't visited in a while. mere mahabuub kahii.n aur milaa kar mujhase!